Wind protection and style combined. This Mid-Sport Windshield wraps around the contour of the headlamp to offer the maximum wind protection available in a compact profile. 57213-06 fits '06-'07 VRSCR and '07 VRSCX models. 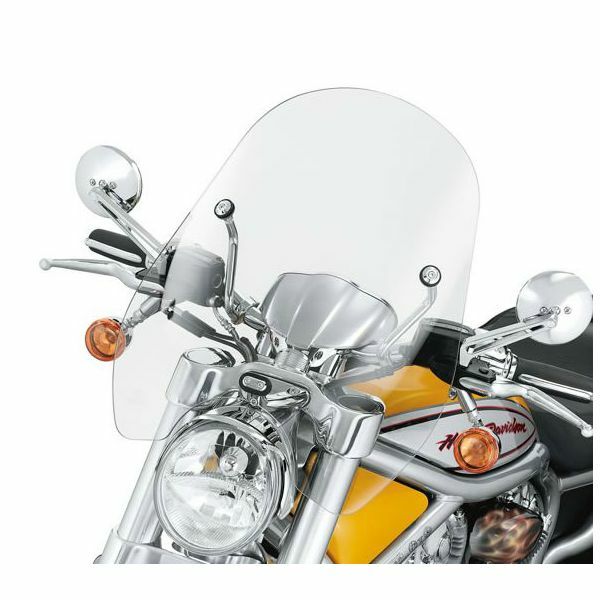 Windshield dimensions: Overall height - 21.3"; width - 18.2".